Best site to read books online | GetLitt! Children get restless when they travel- staying cooped up in a vehicle or inside a room gets boring after a while. I have two kids, of nine and thirteen years of age and one thing I have discovered to be quite effective is getting them to read. I use this children’s book reading app called GetLitt! It has a great collection of books and is updated regularly. The books are of high quality, contain great illustrations and are easy to read. If you download the app, you can easily zoom in and out so that your eyes don’t get stressed. So if we are travelling, I let them read on GetLitt! so that they can entertain themselves and not get restless. As a mother of two, I was keen that my kids fall in love with reading. Reading text books is not enough, and parents must encourage their children to read more and explore books on their own. My elder daughter Aditi, who is 10 years old now, is an avid reader. It is largely thanks to GetLitt! They have a great library, and their collection is updated regularly. I have found that other libraries- both offline and online- often do not keep new books. Hence, children miss out reading on topics that are important today. 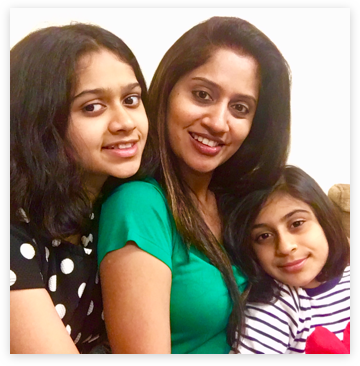 Since Aditi became a reader on GetLitt! in June, 2018, not only has her vocabulary and comprehension skills increased, she has also started discussing a wide range of topics with us. We can now talk on so many topics- even things like bullying, friendship, relationships. With her growing up, I love being able to discuss many issues frankly with her, and reading has helped her understand other people’s perspectives and is also helping her examine the world around her critically. 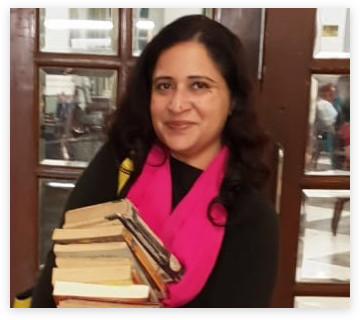 My younger daughter, Meher, cannot wait to join in our discussions and will start reading soon, and I love that reading has helped my daughters become closer to me and each other. Reading a book is always an exciting journey for a reader. 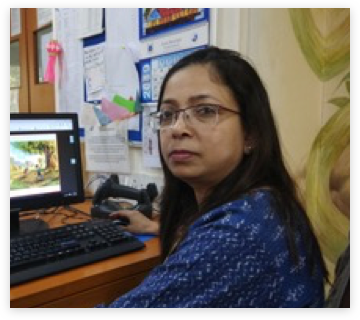 Reading an e-book written by Indian Authors has an enduring impact on the young minds of the learners. Students of Ecole Mondiale World School, Mumbai delved into an e-book reading app – GetLitt! The students read curated e-books written by various Indian authors. The app was integrated for one of the Unit of Inquiry under Information Literacy. Students across grade 1 to 3 read stories on the app and shared about their learning. The interface is very child-friendly and offers a genre-wise selection of books to read. This gives the readers exposure to various genres in Indian literature. There are monthly activities designed not only to nurture the love for reading but also to challenge the thinking skills of the readers. There is no greater joy in the world for book lovers than exploring a library. Reading is akin to adventuring - we visit unknown places, experience different realities, make friends, learn new things and explore endless possibilities. A library is a universe in itself, and each book is a new journey. As the world changes, like every other aspect of our lives, our reading habits also change. Our lives are busier now, and our responsibilities often leave us with little time for ourselves. Today, visiting a library has become a rarity for most people. As a result, more people have started reading online - so that they can sneak in a few pages whenever they find a few minutes of leisure. Hence, online book reading websites are becoming popular. More and more people today read on Amazon Kindle or Google Books than ever before. Children have not been an exception to the rule either - most kids today do many extra-curricular activities and find it difficult to carve out time to visit a library. On top of that, for many people, maintaining a library at home is difficult. 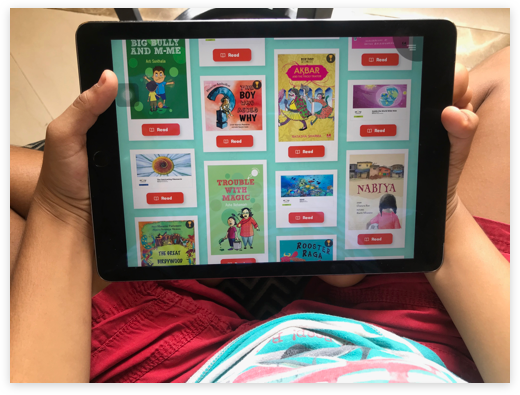 Hence, more parents today are looking for online book reading sites and reading apps where their children can find good books to read online. Well, look no further than GetLitt! At GetLitt!, you will find hundreds of children reading books. If you are a parent, you will know that locating good books to read online for children is tough. Websites like Open Library and Project Gutenberg contain millions of free books, but most of them are for adults. Most of the online libraries do not maintain a children’s section. As a user one has to rely on the search feature on these sites. So, unless your child knows exactly which book she wants to read, it can be a difficult task to find best books to read online for your child. The other problem is that while books for adults are talked about, children’s literature is rarely discussed in the media. As a result, very few people know about new children’s books that come out, and kids often miss out on contemporary books. Online libraries too face this challenge- while most of them store classics, almost none of them contain recent publications. On GetLitt!, you will find amazing books which kids can read online. Online libraries often have static collections in their internet archives, and only contain books whose copyrights have expired. There are good books in the public domain, but most of them are of poor digital quality which makes reading difficult. As a result, children often lose interest in reading them. Which is unfortunate, because children’s authors have been turning out great books regularly. Not only are they a pleasure to read, they often explore subjects and topics that were not talked about earlier in children’s literature. We have many satisfied subscribers who swear by GetLitt!. With GetLitt!, you can be sure that your child gets high quality books that make learning fun. Our collection is regularly updated, and you can access the website on your mobile devices or computers anywhere. We have hundreds of books from well-known children’s publishers like Amar Chitra Katha, Tinkle, Ms Moochie, Duckbill, Young Zubaan, Tulika, Storyweaver, FunOkPlease, and PickleYolk Books. You can explore the collection by title or category on our website. After you take a subscription, your child can explore our entire collection. They can also write reviews of the books they read, and the more they read, the more badges and trophies they win. What’s more, your child can also read interviews of famous children’s authors and illustrators and get to know about the creative process better. 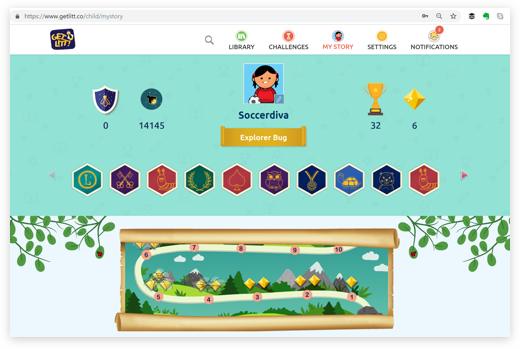 You can keep track of your child’s achievements and check their reading progress by signing in on our website. GetLitt! takes pride in providing a seamless reading experience, and you can access our library via both our website and our reading app. So, if you are looking for books to read online for kids, then GetLitt! is the only place to go to. So, what are you waiting for? Become a subscriber now, and gift your kids a pocket library where learning is fun 24x7. Many many years ago an alternate dimension called Litt-o-sphere was discovered. This is where knowledge is generated for the real world. This land is rich in Knowledge Manis which are the source of all the lovely books of the world. Alas! The Makadi Monsters have evil designs of ruling over this world. Their biggest weapons are Darkness and Ignorance and so they have captured all the Knowledge Manis and hidden them in their makadi webs across Litt-o-Sphere. How can these precious Knowledge Manis be saved? Maha Moth, a leading figure of Litt-o-Sphere, revealed that only the Litt (light) from Jugnus can break the webs on the Knowledge Manis. And these Jugnus can be harnessed only when Bugs read the books from the library of Litt-O-Sphere. Wazir Worm - the keeper of the books and custodian of the Library - helps the Bugs select the best books to read. This community of pure-hearted and persistent Bugs will read for this noble cause and save the world from being deprived of wonderful books!